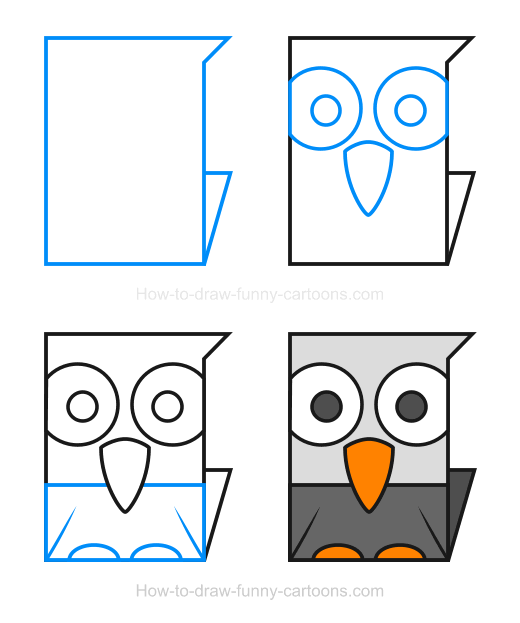 Illustrating this eagle clipart is an easy task if you can sketch simple geometrical shapes. 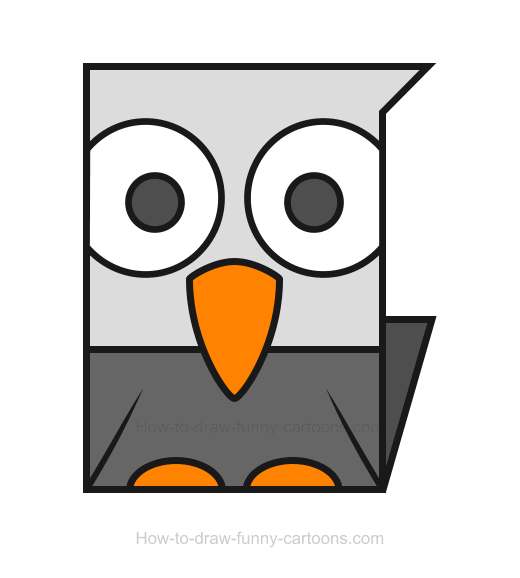 Indeed, this is probably the simplest version of this great bird that you can draw while making sure this cartoon character is relevant and easy to recognize. First, let's create the body of this cartoon eagle using a large rectangle made from bold outlines. On top of the rectangle, you can merge a small triangle (on the right of the illustration) to illustrate feathers. Finally, you can add a small triangle on the bottom of the character to represent the tail. The eyes are made from large circular shapes. These shapes are slightly hidden on both sides of the head. In the middle of the eyes, draw some pupils made from smaller circles. You can complete this step by drawing a large beak on the bottom of the eyes using a large triangle made from curved lines. Great! We are almost done! On the bottom of the rectangle, draw a large rectangle to form the body. This shape is used to separate the body from the head. Then, add some pointed lines to form the wings. 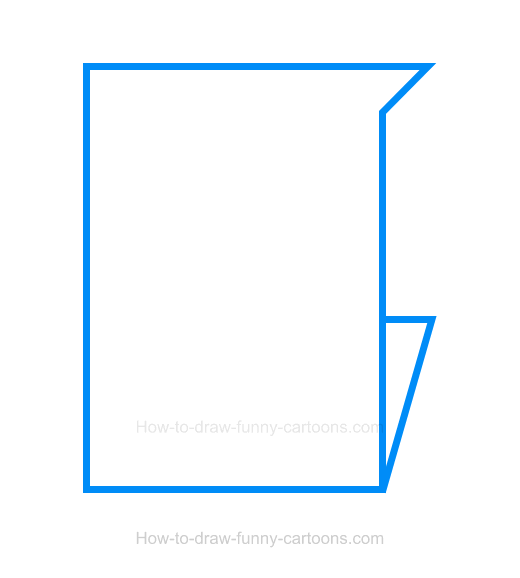 Finally, complete this tutorial by drawing two small legs using curved lines. Adding colors is also a good idea to give life to this simple cartoon character. The head can be white or filled with a light grey color. The body, the tail and the pupils are filled with a dark grey color. You can complete this step by adding an orange color to the beak and the legs. Creating this simple eagle clipart was easy! Right? I hope you had fun creating this cute eagle. Below you can see all four steps required to illustrate this great animal. 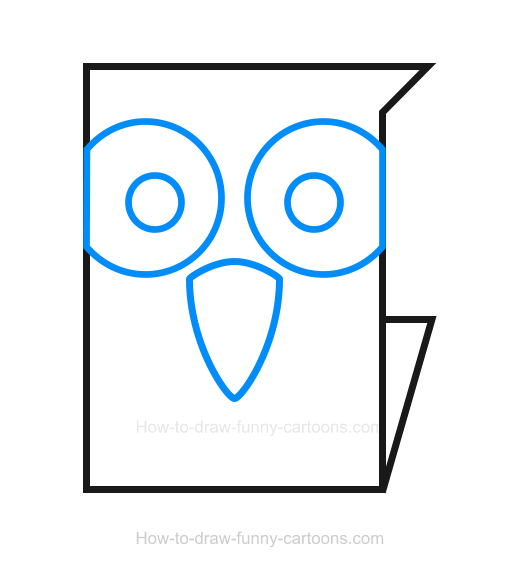 If you prefer to try a more complex version of this fun animal, you are invited to draw a cartoon eagle made from circular shapes here. Enjoy!